It is that time of year again when we turn our attention to engaging in meeting together as a broader industry to discuss the challenges of the gaming landscape within Canada. This year we will be convening down in Windsor, Ontario, within the Convention Centre in the city. Naturally, the key element or interest for our Sector is around Charitable Gaming with this portion being presented by our colleagues, the OCGA, in conjunction with the Canadian Gaming Association. The conference starts on the 16th June 2015 and I would strongly encourage you to be in attendance and support this event, which places a strong spotlight on our sector. A key note speaker for the event will be Mr. Greg McKenzie – Senior Vice President Lottery & c-Gaming (OLG) as well as many other respected speakers. 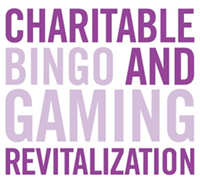 The Revitalization of Charitable (Bingo) Gaming, also known as c-Gaming, has achieved some key landmarks even with the ongoing challenges the initiative continues to face. It is remarkable that in April ’15 we successfully launched the 30th c-Gaming Centre to join the program with the conversion of Dolphin Gaming (Toronto). This now makes c-Gaming the largest (land-base) Gaming Channel the OLG is engaged in with the private sector and we collectively need to get our combined efforts around maximizing this opportunity. This program brings tremendous value to the communities that they are located in and have done so for numerous years prior to the partnership with the OLG. This is a good platform. It is proof that a Public/Private/Non-Profit partnership can work and all partners need to apply their minds around seeking a path for growth and development. I have noted some developments below for your interest. Conversion of Bingo Centres - In March & April 2015, we had two Centres join the initiative and, combined, these Centres took the total to 30 converted Centres that are now a part of the program. Since this program began, there has been a tremendous amount of capital invested into the Centres and this is the foundation piece of the beginning to re-position the Community Gaming Experience in the eyes of the consumer. Both Delta Gaming Centre (St. Catharines) and Dolphin Gaming Centre (Toronto) are both launching with bar areas and the start of aligning different spaces within the Centre to offer multiple experiences under one roof, all firmly based in the Social Gaming sphere. Good Luck to both Centres as they forge their new direction. Cheque Presentation Event - On the 17th April 2015, Delta Gaming Centre (Pickering) played host to a cheque presentation, with the Minister, Tracy MacCharles, MPP (Pickering & Scarborough East) presenting to the Mayor of Pickering $C3.3m that has been raised by Delta Gaming,which benefits local Charities & Non-Profit Groups who are based in the Centre. This was an extremely positive event and it was very encouraging to see and hear such GOOD NEWS about this program and the actual real & immediate impact it is making in and around Pickering. Mr. Rick Gray, Vice President c-Gaming (OLG), Ms. Linda Mair, Pickering Charity Association and Mr. Cam Johnstone, CEO – Delta Gaming Group, were all present and delighted by the response and support. Well Done Delta Gaming. Pan-Am Games - In July 2015 the PAN-AM Games will arrive in Toronto (and surrounding area). This is a major event and is likely, once it kicks off, to achieve some tremendous interest from Ontarians. The OLG is an official sponsor and is co-ordinating various events around the province, especially the torch-bearing events. OLG c-Gaming Marketing Team Members have been in contact directly with various Centres to inform and see how the c-Gaming Channel can be engaged in this exciting event as it draws even closer. Brand Engagement - We have completed various sessions on the ‘Brand Engagement’ that have been hosted by Draft Worldwide & c-Gaming Marketing. The initial feedback has been interesting and further work is underway. The real key to this initiative is to see the final result and then the application of this ‘brand into the marketplace’. The last thing anybody is seeking here is another report that sits on the shelf and never gets deployed. Industry Stakeholder Engagement - On the 14th May 2015, Mr. Rick Gray, Ms. Lynn Cassidy and myself will play host to the launching of the new structure for stakeholder engagement. We have been assured that this platform will drive decision making through swifter and allow greater traction on initiatives. If that can be achieved it will deliver benefits to each of the stakeholders, which I am sure is a collective goal. Product Refresh (Taptix) - Work still continues in the Multi-Demo and Progressives on the current Taptix Units (Diamond Game). This was due by the spring of 2015 and therefore technically is on course. It will offer a real opportunity to market these enhancements to our consumers and allow us to ‘shake-up’ the Taptix Lounges. Compliance & Audit - It is equally important that we keep our collective minds attuned to the need for rigor on the Compliance & Audit functions within a c-Gaming Centre. If you believe you have a more effective way to achieve an Audit or Compliance function, then please bring that to my attention (in writing) and it will be brought through the Regulatory Committee for review and assessment. It is extremely important that we have an understanding of the Policies & Procedures Manual as you apply your day-to-day duties. About 18 months ago the CGAO reached out to the RGC & OLG to heighten our understanding of Responsible Gaming and the new role it will play within the c-Gaming Centres. This engagement has been critical in gaining a broader understanding of the importance it now plays within our Centres. The majority of c-Gaming now have their self-serve Kiosks operational and are receiving quarterly visits from RGC Field Staff. It was extremely encouraging to hear back directly from Ms. Paula Antoniazzi that c-Gaming Management & Staff are very positive and helpful during the course of these visits, which is excellent news and is reflective of how our staff have embraced this important initiative. Within the CGAO we have always advocated the need for balance at all times and I am pleased to say the feedback from RG partners is the same. There is no desire to impact the social experience. It is more about effectively raising the awareness of RG and its support services that are available should and when a guest feels they could benefit from such support. I want to acknowledge again Ms. Paula Antoniazzi – Director (RG-C) and her team for their leadership in this field and the positive relationships she cultivates among stakeholders. The CGAO, RGC & OLG meet on a quarterly basis to discuss developments and initiatives designed for our sector. Please be advised that the Commercial Gaming Association of Ontario will be hosting its Annual General Members Meeting as indicated below. Since our last edition there are two colleagues who have departed and I wanted to acknowledge their contributions to the industry. Mr. Earl Lloyd - It was very sad to hear that in March Mr. Earl Lloyd passed away. Earl had been the owner & operator of Rainbow Bingo – Huntsville, a Centre that Earl operated with his wife Paulette and both had a long history in the industry. As well as undertaking many management roles, they both always worked tirelessly for the industry at large in voluntary roles in the Industry Association as Treasurer & Secretary, at a time when the industry was four times the current size. I had the pleasure to work alongside Earl as a Board Member and I remember his positive contribution at a critical time in the industry’s development. We all owe him a debt of gratitude for the countless voluntary hours he spent of our behalf. Our thoughts go to Paulette Lloyd & family for their loss. Ms. Paula Pidgeon - It was announced last month that Paula Pidgeon (Support Manager) Delta Gaming Centre – Pickering, passed away after many years of suffering from a liver complaint. Paula had worked at the Pickering Bingo Centre for many years, starting when Mr. Chris Leach opened the Centre in the late 80’s. Well liked by colleagues, charities, volunteers and customers, she will surely be missed at Pickering. Our collective thoughts go out to Paula’s partner and family for their loss. Ms. Isabel McMurrich - It has been announced that Ms. Isabel McMurrich has been appointed Marketing & Brand Manager for the Delta Gaming Group. She will be based at head Office in Oakville and report to Mr. Cam Johnstone & Mr. Shawn Fisher. This strengthens the Delta Gaming Team and is the first phase in putting together a new ‘Brand/Experience Strategy’ look for the group. I’m sure you will join me in congratulating Isabel on her appointment. Mr. Philip Sherwood - It has been announced that Philip has been appointed Director of Sales for Bluberi Gaming. Bluberi Gaming is a Canadian company based in Quebec. Philip has a vast knowledge of the North American Gaming Markets and previously was working with Multi-Media Games. I am sure you will join me in wishing Philip well in his new appointment. On the 5th May 2015, Innova Gaming Group completed and is now trading as an independent Company on the Toronto Stock Exchange under the symbol “IGG”. Innova Gaming is a new public company that is the parent of Diamond Game. Additional information can be found at www.innovagaminggroup.com. I am sure you will join me in wishing our colleagues at Diamond Game every success in this new opportunity to develop their business. On the 4th June 2015, we will meet down in Guelph for our 3rd Annual Golf Day. This has been tremendously successful over the past few years and, from all the feedback, extremely enjoyable. If you don’t have a team in the event and would like to place one, please reach out to our Golf Chair – Mr. Peter Howard at phoward@diamondgame.com. It would be great to see new faces at this event and you can be assured you will be most welcome. I do want to acknowledge our Key Sponsors, Diamond Game (Canada) & Arrow Games (Canada), for their support of this event.